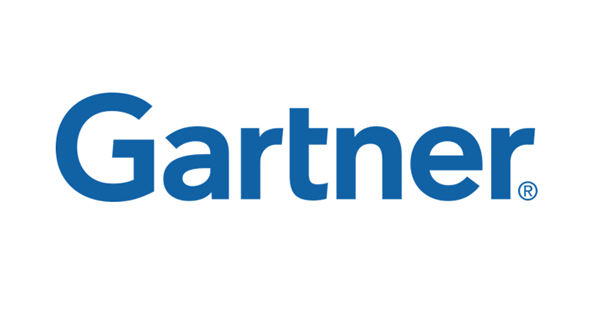 Gartner, Inc. (NYSE: IT) is the world's leading research and advisory company. The company helps business leaders across all major functions in every industry and enterprise size with the objective insights they need to make the right decisions. CEB IT Roadmap Builder™ is a workflow and decision support solution that helps IT leaders develop and maintain their technology, strategic planning, service, and capability roadmaps. CEB is a Gartner company. With CEB On The Go, get quick access to CEB insights wherever you are. CEB is a Gartner company. CEB Sunstone Analytics offers résumé-based predictive analytics to provide HR and business leaders with company-specific recruiting insights and superior selection decision criteria. Their résumé analytics technology quickly identifies top candidates based on key features associated with high performers within a specific company and role. CEB is a Gartner company. CEB TalentNeuron™ provides you the most comprehensive source of global talent demand and supply data, predictive analytics and insights into real-time job market, location, and competitive intelligence to help you make smarter talent planning and recruiting decisions. CEB is a Gartner company. Contracts and proposals grow more complex every year. Vendors introduce new pricing, licensing models, maintenance options and audit clauses every day. It is nearly impossible to keep up — unless one has day-to-day market visibility. Gartner has that market visibility. Gartner's analysts review thousands of hardware, software, services and telecom contracts and proposals each year. They find hard-dollar savings in 75% of the contracts we review and many reviews lead to multi-million dollar savings. Gartner Business Wizard gives you just-in-time insight on your critical initiatives and IT purchases. Get personalized recommendations delivered to your inbox and online, identifying research, tools, analysts and peers — all on your timelines. Gartner Executive Programs is an exclusive, membership-based organization serving more than 5,000 CIOs and senior IT leaders worldwide. Members benefit from the convenience of a single source of knowledge and insight focused on CIO-level challenges, service delivery in their context, the shared knowledge of the world's largest community of CIOs, and the assurance of Gartner objectivity and independence. Executive Programs equips CIOs and senior technology executives with the tools and insights they need to deliver exceptional business results for their organizations and develop themselves as successful business leaders. Gartner for Business Leaders is a series of role-based offerings that helps technology and communications leaders succeed. This indispensable research is the key to developing breakthrough ideas, making successful decisions and winning more business. Gartner for Enterprise IT Leaders is a personalized service offering for senior leaders that presents the tools and knowledge to save time and money, mitigate risk and exploit new opportunities. Coaching is provided by a seasoned expert and leadership partner. IT Professionals are under increasing pressure to make quantifiable business contributions. To be successful, you need advice with context, tailored to your role. Gartner for IT Leaders helps you succeed by providing you with daily access to information and tools that are relevant, insightful and tailored to your role. Gartner provides objective advice – rooted in research, peer-driven insights, and data – to help inform your marketing strategy and execute with confidence. Their team of marketing advisors understands the challenge of meeting the needs of your customers. Gartner's insights are backed by extensive data and performance measures along with best practices and detailed case studies built from the real-world experiences of marketers like you. Gartner advisors have been in your shoes, facing your challenges, with experience and research-driven perspectives across a range of industries and company sizes. They can help you cut through the noise, think through complex issues, save time, and make decisions with confidence to achieve your goals and drive overall business results. Gartner's supply chain service provides senior supply chain executives with the research and tools they need to succeed on their mission critical priorities. Their unique model offers a single source for research, advice, networking and events from their team of supply chain practitioners. With an average of 20+ years of experience, Gartner's team of supply chain practitioners advise supply chain leaders every day on building and executing a winning supply chain strategy. Most organizations invest significant time and money in developing a sound IT strategy. But a strategy is only as effective as the technical team's ability to execute it. Gartner for Technical Professionals provides the insights, guidance and best practices your technical team needs to deliver flawless execution and outstanding results on the initiatives that support your IT strategy. Gartner's in-depth technical expertise equips IT practitioners and technical teams with information across the entire project life cycle, from technical strategy to architecture to project execution. Gartner for Technology Investors provides insight into the strategies and behaviors of technology end users and providers to support the activities of investors interested in technology. There is an abundance of information about technology, but a shortage of analysis that can drive superior investment decisions. Gartner extracts the most complete and comprehensive view of the industry through unparalleled access to both IT users and suppliers. They talk to thousands of end-user IT executives every day, gaining insight into how CIOs in both the public and private sectors are managing technology. Gartner provides objective interpretations of the information you need to make profitable investment decisions. A data-driven service designed for use by technical professionals at end-user clients, Gartner Technology Planner has a proven track record in saving our clients time and money. Gartner Technology Plannner enables technical professionals to make smarter, faster decisions on IT infrastructure. Gartner Technology Planner provides ongoing benefits for both targeted equipment updates and major refresh and technology update projects, using independent, objective data. Gartner Technology Planner benefits are derived from detailed information and comparisons for servers, storage, networking and integrated systems utilizing Gartner's industry-leading database of continually updated product information (including extensive historical data). Coverage of data center IT equipment is augmented by coverage of public cloud service providers. Gartner Technology Planner also provides subscribers with access to RPE2, Gartner's server relative performance data. IDEAS Competitive Profiles and IDEAS ServerCAR helps IT sales and marketing professionals make faster, smarter decisions about how to position the server and storage products they propose and deliver to clients. By combining our comprehensive, independent product and service data with our powerful analytical tools, you can quickly create detailed, customized competitive comparisons anytime from anywhere. Make the right decisions every day through access to research and advice shaped by Gartner analysts' knowledge of your industry. With Gartner Industry Advisory Services, you have access to analysts with experience in your industry who understand the environment you work in. Gartner will help you stay ahead of your competitors by enhancing your understanding of what others are doing and why. Leverage their analysts for best practices, vendor selection, trends and validation. You will have the insight and credibility to confidently recommend technology solutions that make sense for your business at any stage of maturity. Get your customer's attention with high impact audiovisual programs that combine your brand promotion, marketing messages and client testimonials with trusted Gartner research. Generate leads and boost your marketing campaigns with strategic content that your customers can see, hear and experience. With Gartner Custom Multimedia, a dedicated Gartner producer will work closely with you to: Manage the entire production from vision through content creation and delivery; Create questions and conduct interviews with Gartner analysts, your business experts and customers; Edit content and coordinate the approval process; Deliver the final product and oversee promotional campaigns for the greatest exposure. Gartner Custom Newsletters will allow you to: Improve response rates on e-marketing initiatives; Generate demand; Reach key decision makers; Add credibility to your marketing messages; Strengthen branding; Create valuable web content. CEB Metrics That Matter is a reporting tool that helps you cut through your data to tell your organization’s L&D story. CEB is a Gartner company.